Matt Jolivette, CMC® • Associated Mortgage Group, Inc.
Matt Jolivette is one of two owners of Associated Mortgage Brokers and brings his clients 18 years of experience as a mortgage broker. 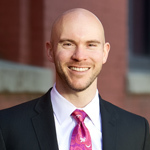 Matt received his Bachelor of Science degree in Finance from Portland State University, studying and attending classes nights while working full time at Associated Mortgage Brokers, graduating in 2005. Prior to learning the ropes of mortgage and finance, Matt spent four years in the United States Marine Corps, proudly serving his country. Matt truly learned the mortgage business “from the bottom up.” He started at Associated Mortgage Brokers in 2000 as a loan processor; then became a licensed loan originator in 2001; and eventually became an owner in 2011. Matt knows the importance of giving back: in 2013-14, Matt served as President of the Oregon Mortgage Association (affiliated with the National Association of Mortgage Professionals). In that role, he traveled to Washington DC and met with our congressional delegation on behalf of our profession and the consumers we serve. Matt holds the prestigious and highest level of designation, the Certified Mortgage Consultant (CMC), administered by NAMB. This certification is gained once the candidate has met certain requirements of experience and knowledge of the mortgage industry and has passed rigorous examination. Matt truly believes the mortgage broker model and the multiple options he provides at the lowest cost is the best choice for the consumer. Matt, his wife, daughter and son live in SW Portland. When not working to find his Associated Mortgage clients the best loan, Matt enjoys family time, traveling and an active lifestyle.